Maureen Casey is a Partner in the Albertson office. 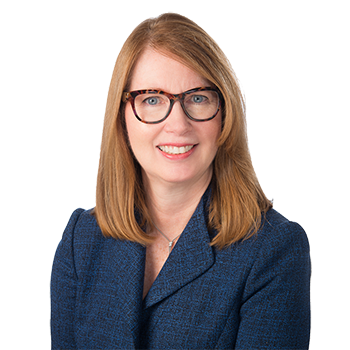 For nearly 25 years, Ms. Casey has focused her practice on the defense of school districts in a variety of personal injury claims such as playground and sports accidents, assaults, slip & fall, motor vehicle and wrongful death litigation. As an experienced litigator she has taken a multitude of cases to verdict on behalf of school districts in the New York courts. In conjunction with her personal injury practice, Ms. Casey represents school districts and private clients in defending civil rights claims and various employment matters including discrimination and harassment claims and wrongful terminations. Ms. Casey's practice is not limited to the representation of school district and municipal clients. She also handles cases involving construction site accidents, premises liability and automobile matters. She is a long time participant in the Nassau County Bar Association Student Mentoring Project mentoring middle school students at the A. B. G. Schultz Middle School in Hempstead, New York.